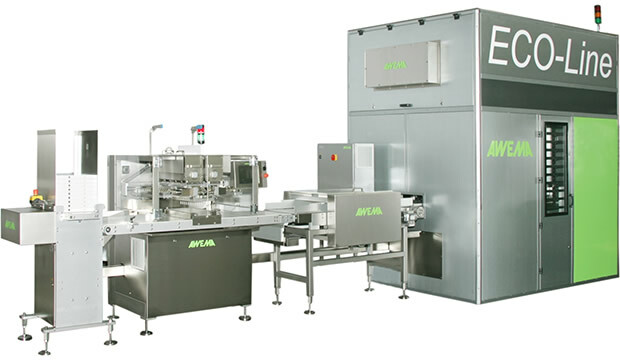 AWEMA A.G. of Switzerland can provide a wide range of equipment for the confectionery industry. They manufacture an excellent line of one-shot depositors. Depending on the center, up to 80% filling can be achieved. They can also provide complete molding lines for one-shot products, hollow, or solid chocolates with outputs of up to 1,100 kg. per hour. Also included in their equipment program are spinners to produce hollow chocolate novelties, the Artist 24 decorator robot, cooling tunnels, and more.